Marble Worktops | MG Granite Ltd.
Marble is a metamorphic rock famous across all of Europe for it's beautiful qualities. It was formed by the transformation of limestone over millions of years. Croatia and Italy were famous locations that fine marble was mined from. The Romans and Greeks love using it for architectural feats or artistic sculpting. Marble isn't just for ancient Rome, here in the UK, MG Granite offer you some of the best selections in well-sourced material, high in quality and useful. We've been using marble for a number of years now, and it's a popular choice across the country. Coming in a number of different colours with a unique and recognisable richness to it's appearance, this material is consistently tough. 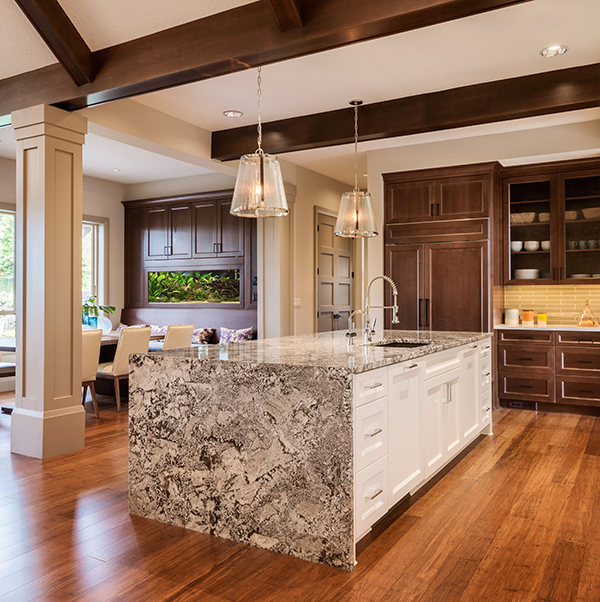 Just as workable as granite, marble can be used in kitchens or bathrooms for countertops and vanity tops. If you've an idea, our experts can consult and work to make it happen. Like all our products, our marble work tops are easily maintained and practical, able to with stand every day tough treatment. But these worktops are more than just that, they are beautiful and the veined stone, available in a range of colourations, will bring class to your home design. Contact us today to see what marble could bring to your home.